This helmet is one of the nicest examples of a Big Foot Quist Heer helmet I’ve seen in quite a while. 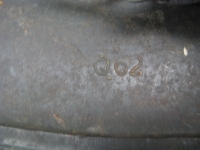 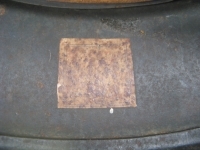 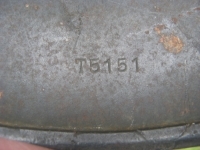 As most Quist decals seem to be more prone to rub marks than other maker’s and so 99% complete examples such as this one are rather rare based on past experience. 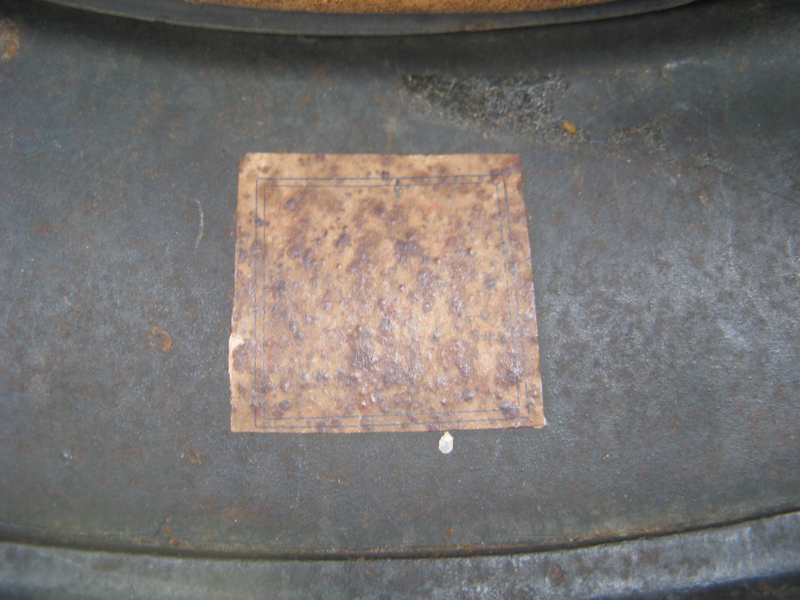 The inside liner has developed a wonderful honey brown hue. 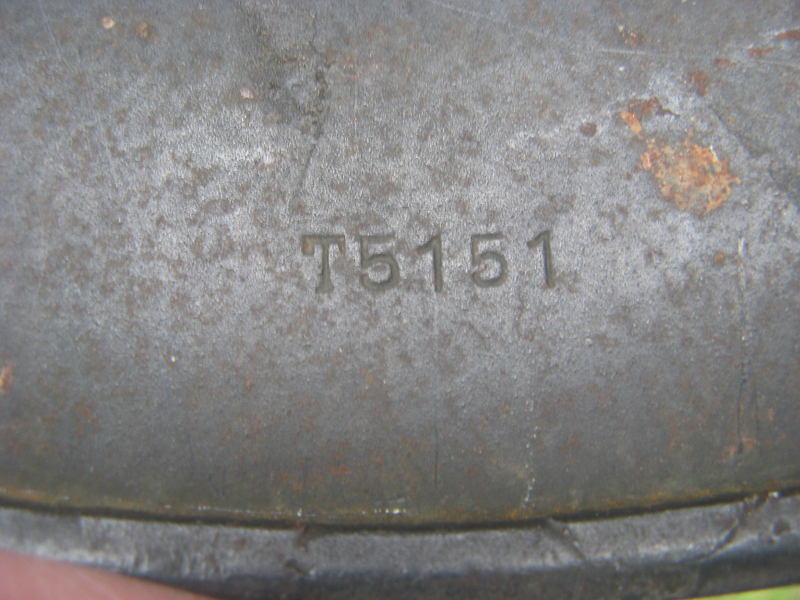 As is the case with most BF decals this one has turned a nice tea tone color which I believe is due in large part to the decal being somewhat thinner and therefore more prone to oxidization than ET, NS or some of the other period decal makers. 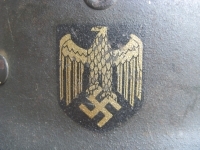 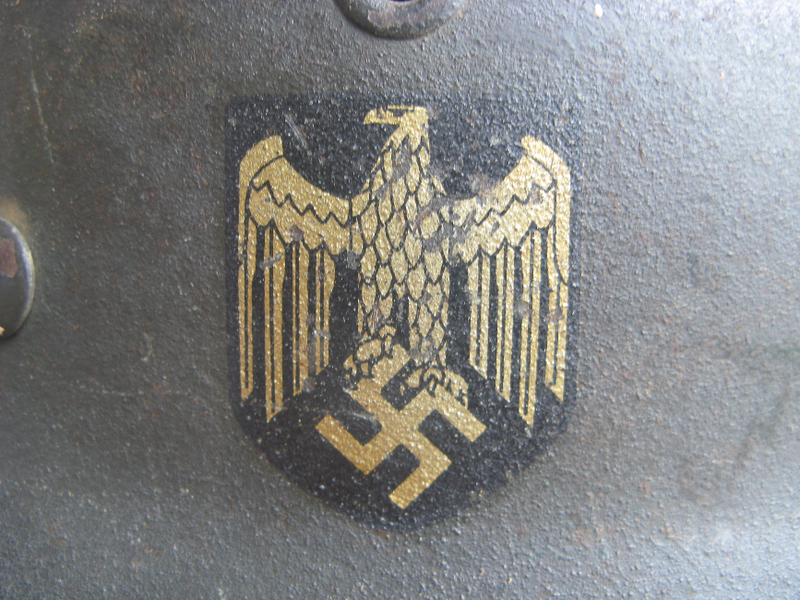 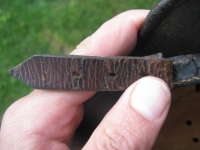 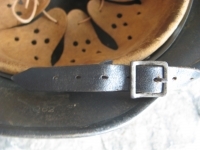 The strap is marked Rahn & Kampmann, Wuppertal 1940. 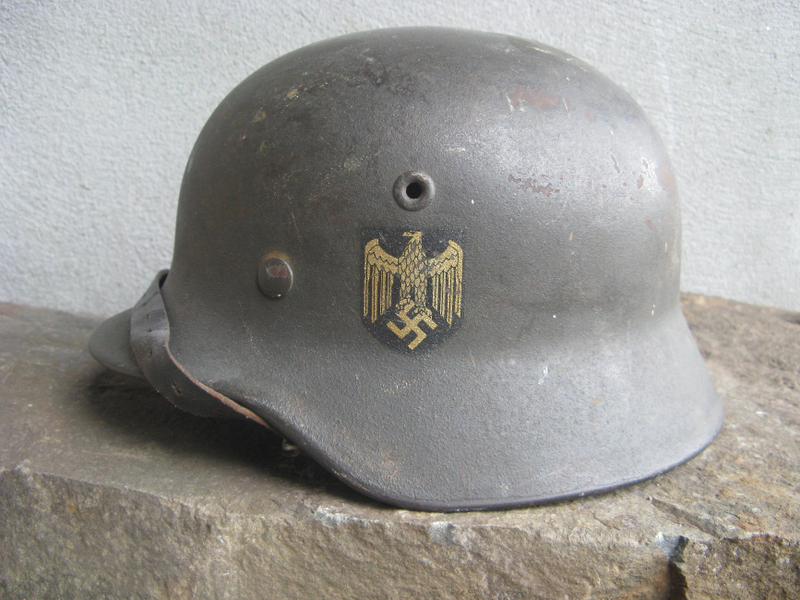 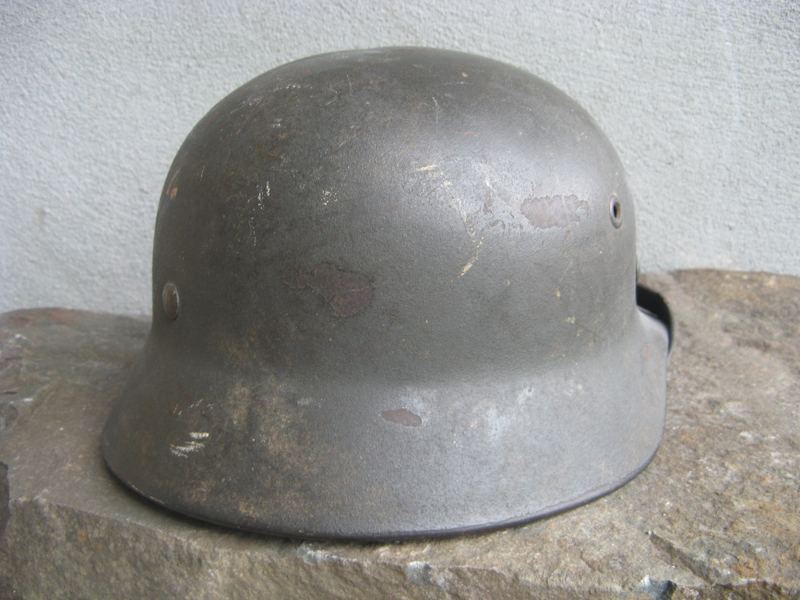 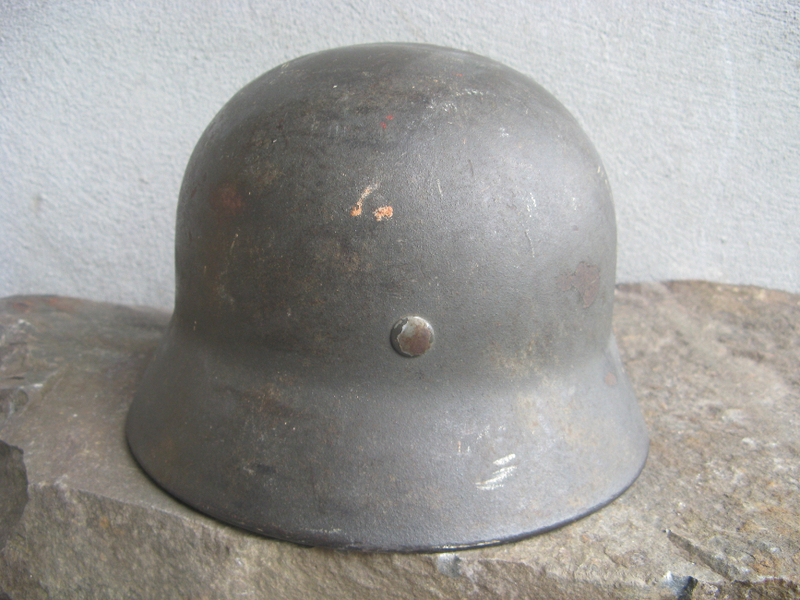 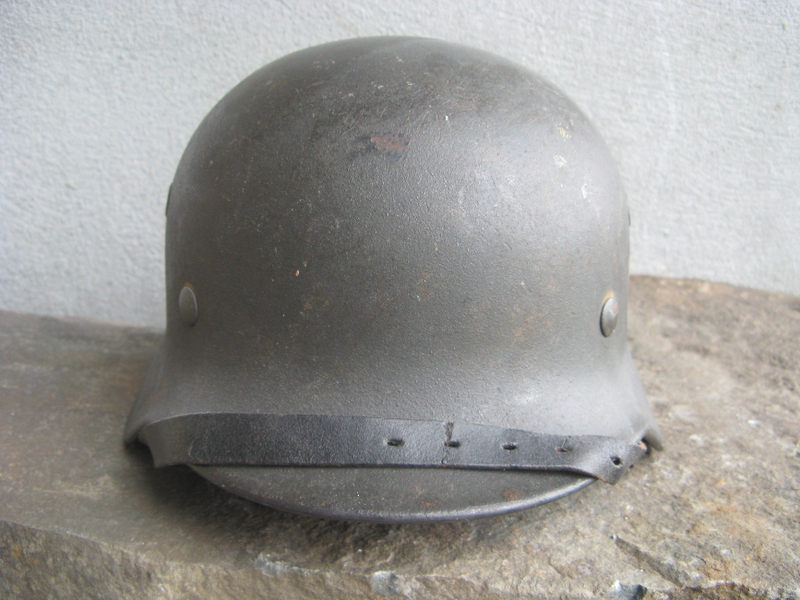 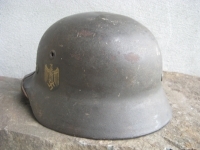 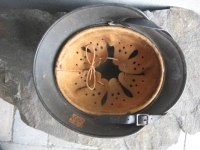 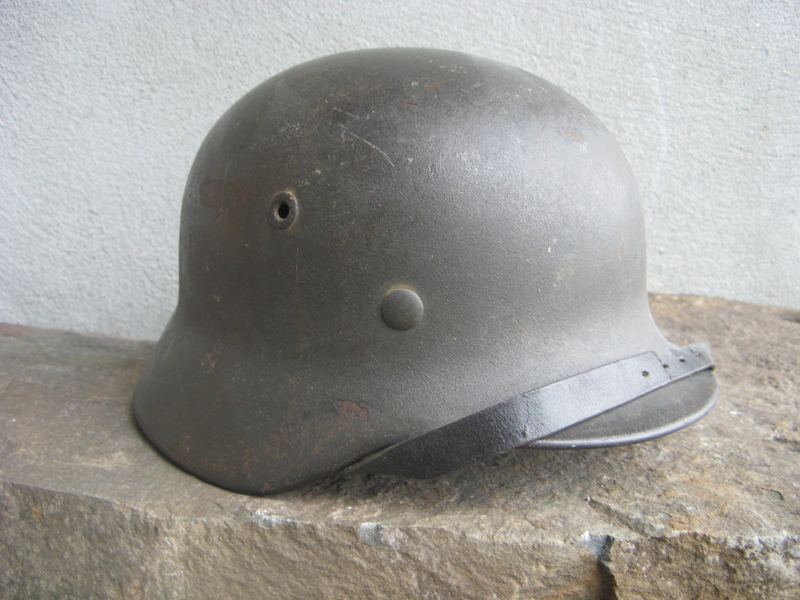 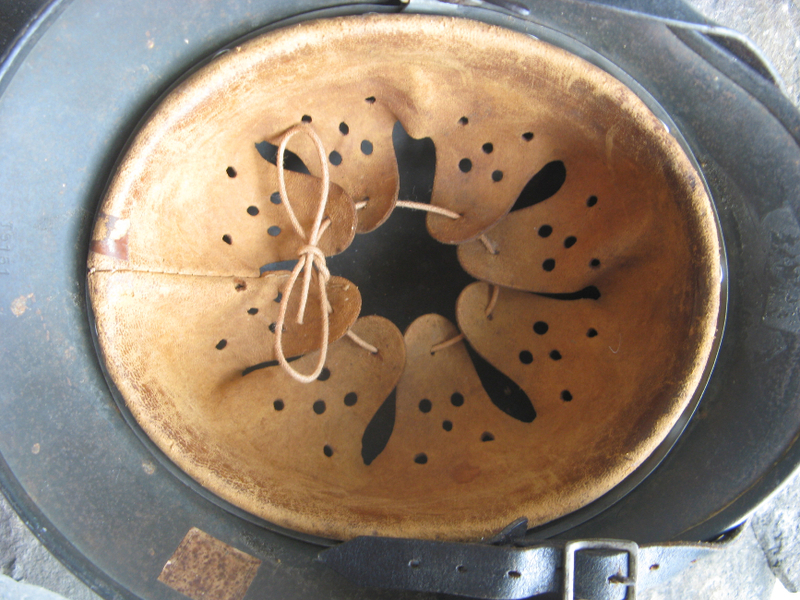 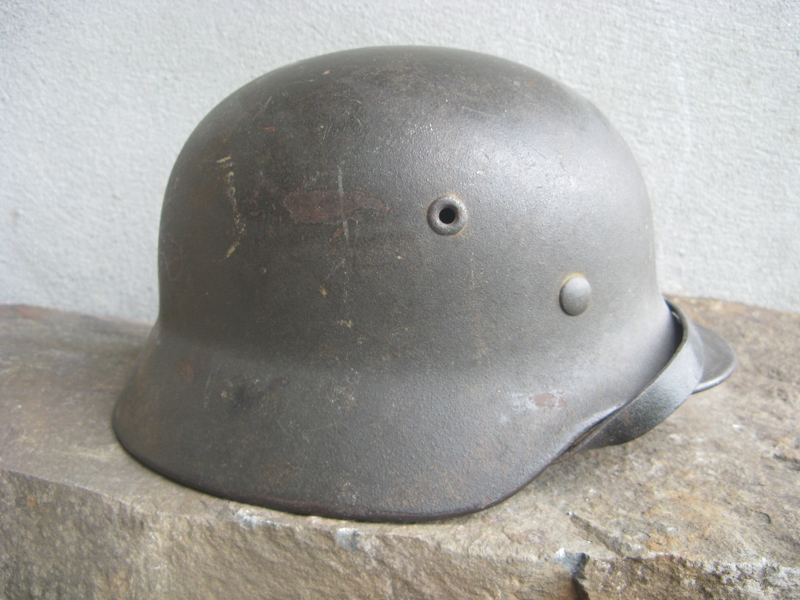 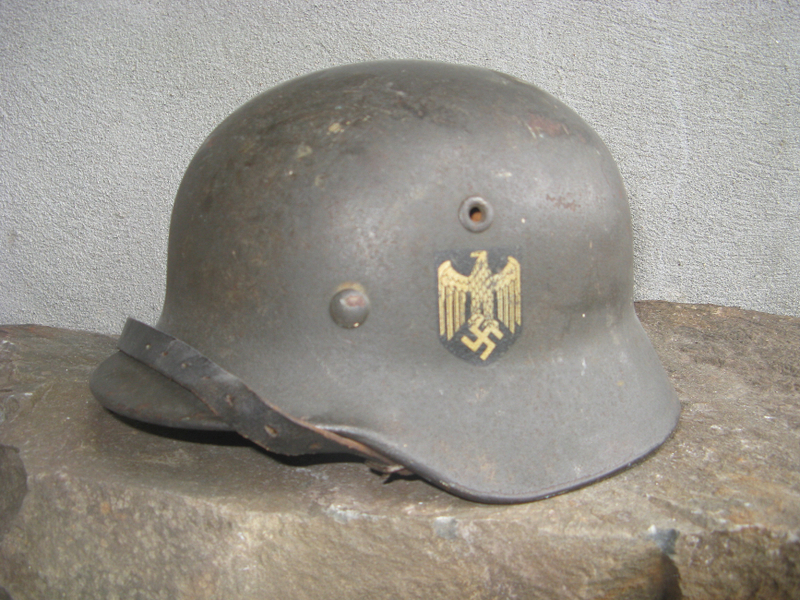 This is currently the nicest example of a BF Quist helmet I own and so would be a very difficult one to upgrade.